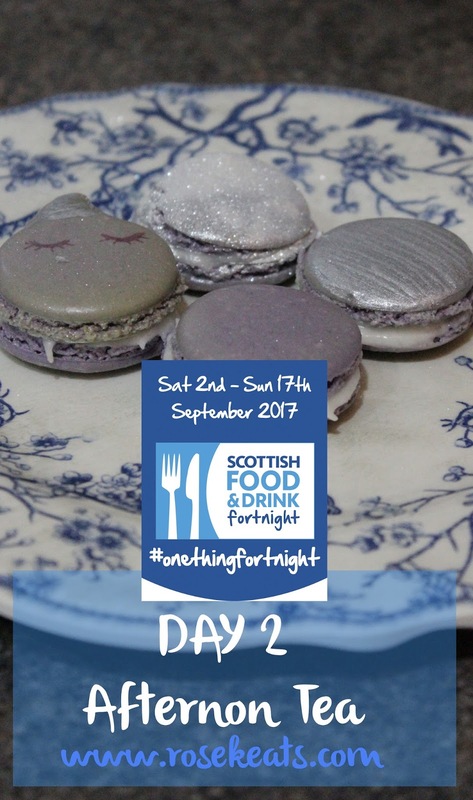 For Day 2 of Scot Food Fort, Afternoon Tea, I decided, since the theme of the fortnight is History, Heritage and Archaeology to draw upon the Auld Alliance and make some macarons using Scottish products. Cake Decor had recently come to my radar and, as they're based in Cumbernauld just down the road from the Barr's factory, I decided to incorporate a few of their products into my Scot Food Fortnight efforts. Cake Decor's Flavour-ice, which comes in Coconut, Salted Caramel and Chocolate flavours, caught my eye immediately and when I saw unicorn macarons on the internet (a unicorn being the national animal of Scotland) I knew I had to give Coconut Unicorn Macarons a go. 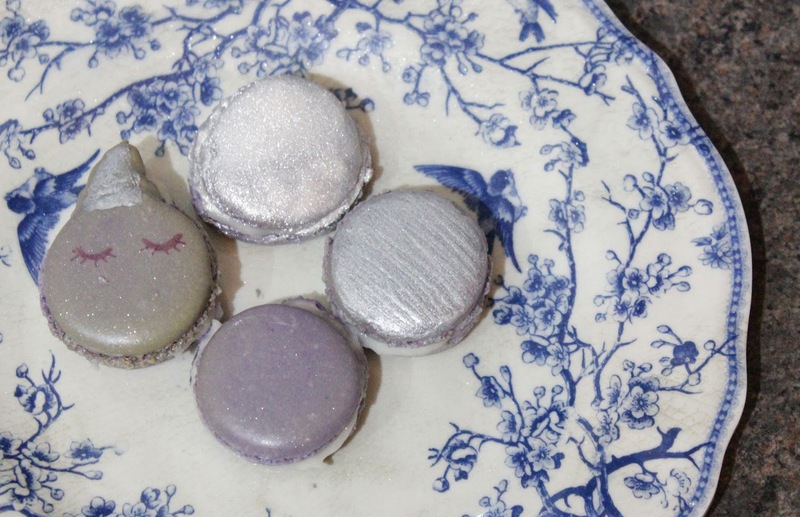 Having never made macarons before I did a bit of googling for unicorn macarons and found Emily's blog - which I highly recommend, I now check it pretty much daily for updates. 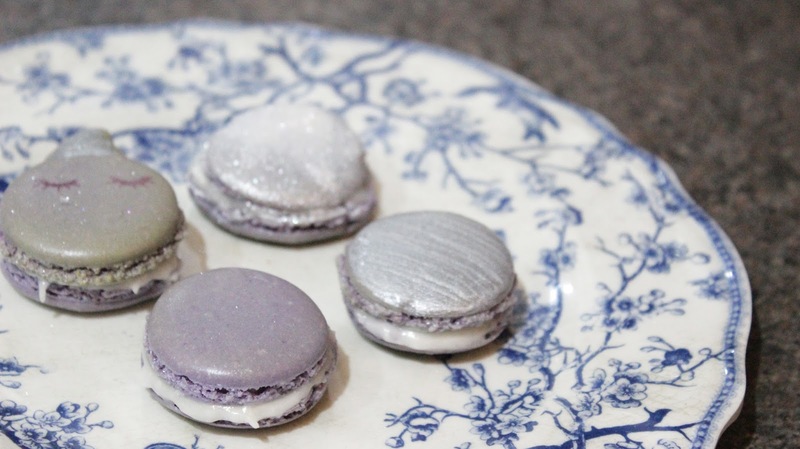 I pretty much followed her recipe for Unicorn Macarons, but used the Cake Decor Coconut Flavour-ice* in place of the normal icing sugar, and made Coconut Buttercream using for the filling. 1. 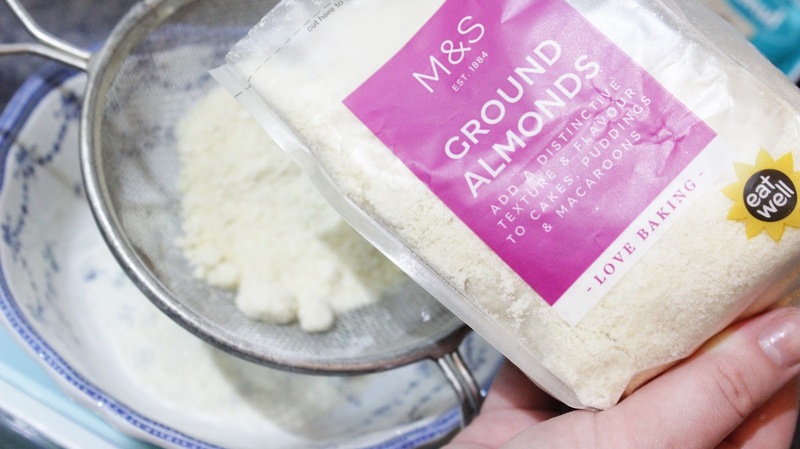 Sieved 75g almonds (I bought pre-ground ones from M&S!) 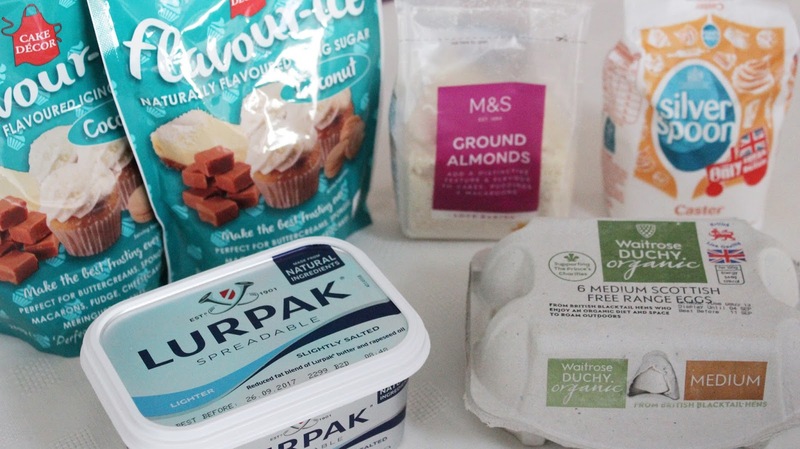 into a bowl, and 90g Cake Decor Coconut Flavour-ice into another bowl. 3. 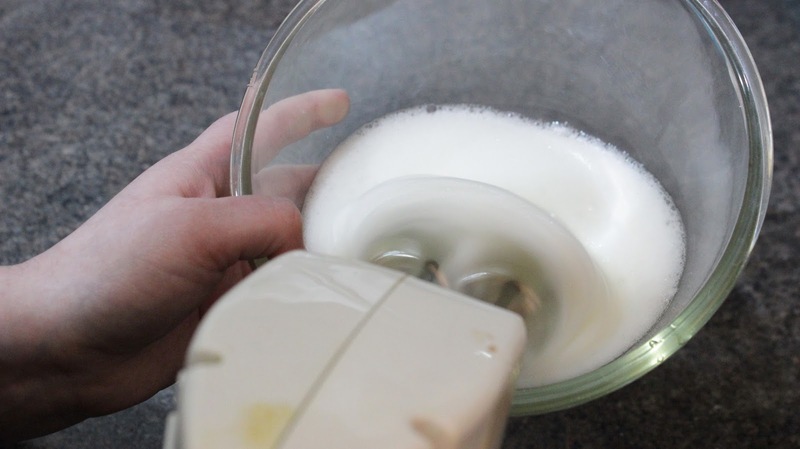 In the bowl with the egg whites I started to add in 75g caster sugar, still using the electric whisk to mix. 4. Switching over to a spatula I combined in the ground almonds and Coconut-Flavour ice into the mixture. 6. I bought this mat (because Emily has it!) and piped a mix of circled and unicorn shapes onto it. 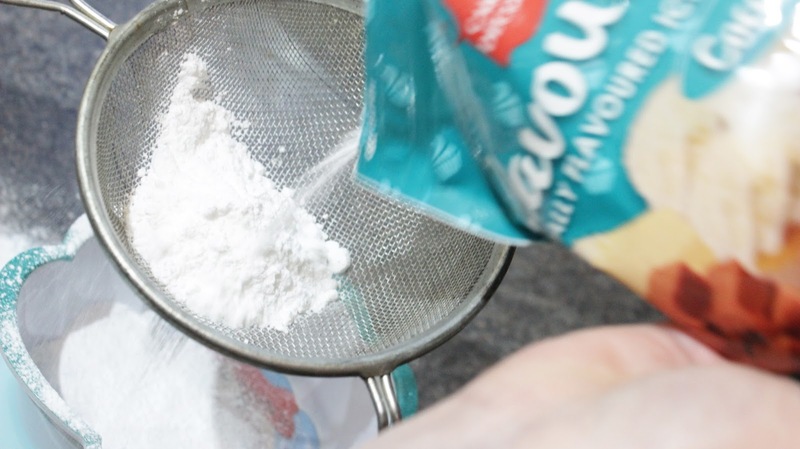 I used a sandwich bag and cut across rather than a piping bag, and given I'd never piped anything before I found it really easy! 7. I then turned my oven on to 150 degrees and let the macarons sit on the counter for 15 minutes while the oven heated up, before placing them in to bake for 15 minutes. 8. Whilst I was letting them cool I mixed up the buttercream, I just used the 140 grams that were left of my Cake Decor Coconut Flavour-ice and mixed with 70g softened butter, which was enough to fill all my macarons! 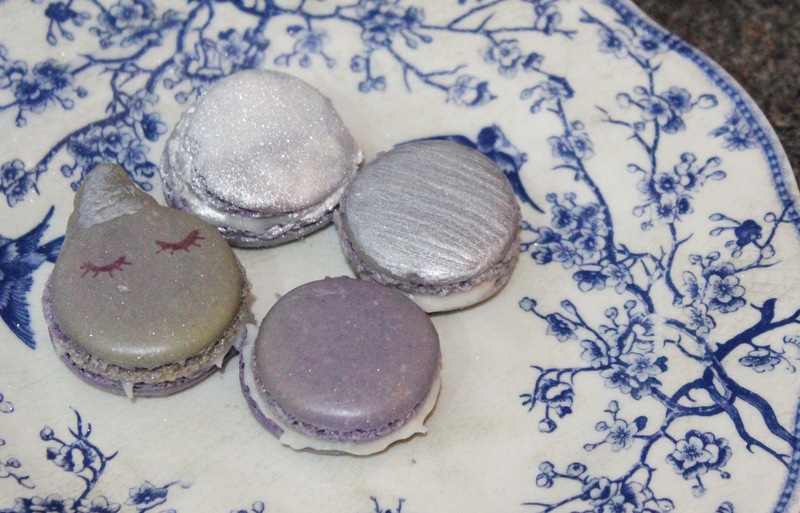 Once the macarons were ready and the filling mixed it was time to decorate and I decided to use some silver and purple Cake Decor products. The Glitter Spray* was beautiful - each bottle contains a massive nine hundred sprays so you can really go to town but it brought up a gorgeous glittery finish as you can see, but with only one spray you could create a really subtle shimmery finish. 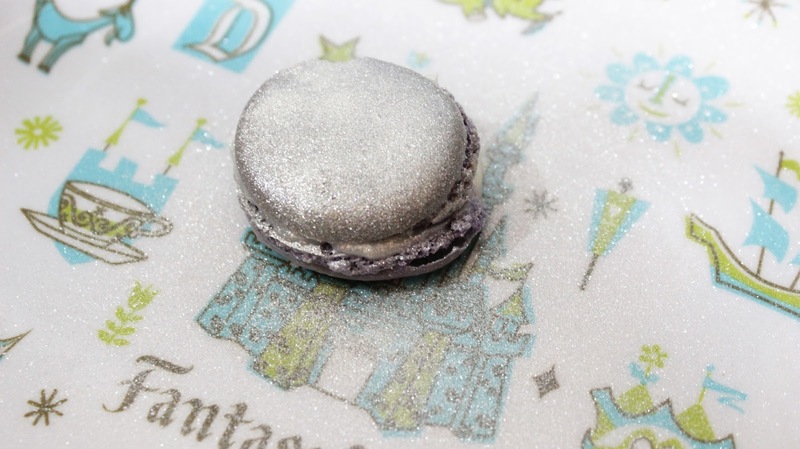 I also used the Cake Artist Paint in Silver* to paint one of the macarons. Despite not being artistic I found this super simple to use, if you can use the YSL Touche Eclat you can use these! 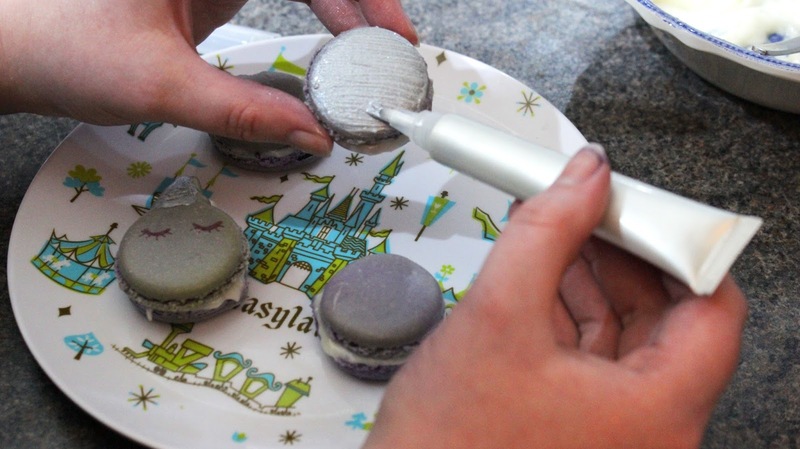 For my unicorn macaron I used the purple pen from the pack of Cake Decor Cake Pens* and the Cake Artist Pen in Silver* to colour in the unicorn's horn. 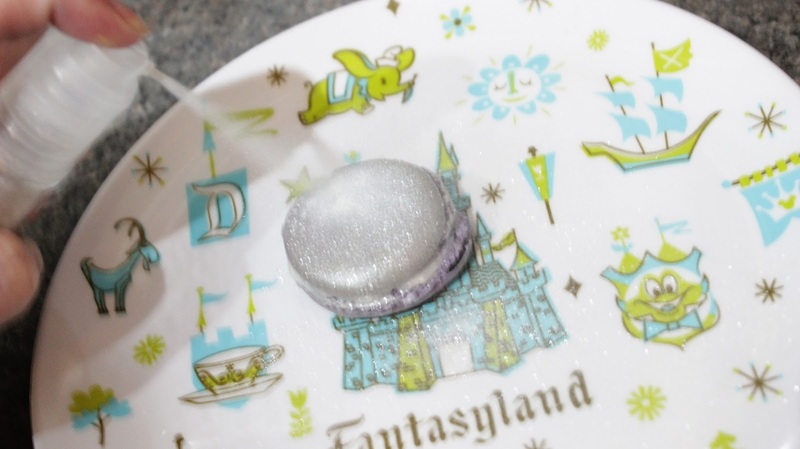 I always thought macarons would be really difficult to make yourself, but I was so surprised about how easy they actually were and I'll definitely be making them again! 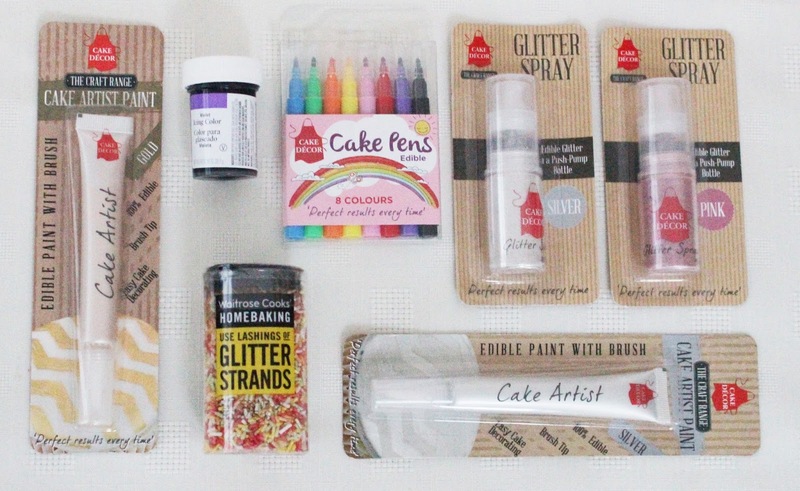 Cake Decor Flavour-ice (all varities) and Cake Pens are exclusive to Sainsbury's; Cake Decor Cake Artist Paints and Glitter Sprays are available from Asda and Sainsbury's.